Tastebuds is an innovative web music service that will enable anyone to find date by comparing your music tastes and preferences in easy and innovative way. All you need to do is tell Tastebuds what your favorite music artist are, and you will instantly be offered a way to contact potential partners. Discover New Music today! Tastebuds is built entirely on the focus to the music, and because that it has many ties to existing popular music services on the web. Instead of manually inserting your preferred bands, you can import your music lists from Last.fm and Facebook. With stylish and modern interface, easy registration process without signup fees, powerful search tools, you will easily be able to find music lovers and new bands from all over the world. There are countless dating sites on the web, but how can you be sure that they will find you the person that is really sharing your passions and tastes. If you are lover of music that wants to find someone who is similar to you, then look no further from Tastebuds.fm, innovative dating site whose large focus on matching people lies in music. This way, you can not only gain access to the people who are interested in your musical taste, immediately get a common talking point with which you can start building your relationship, but also setup meetings at local concerts and events where you can prove to each other how much music plays the part in your lives. Tastebuds was founded by the pair of musicians Alex Parish and Julian Keenaghan, who were part of two London bands Salt and Years of Rice. They saw how large potential music has in communication between people, electing to build entire social network and dating service around this theme. Read more if you want to see if their work has paid off. Discover New Music today! 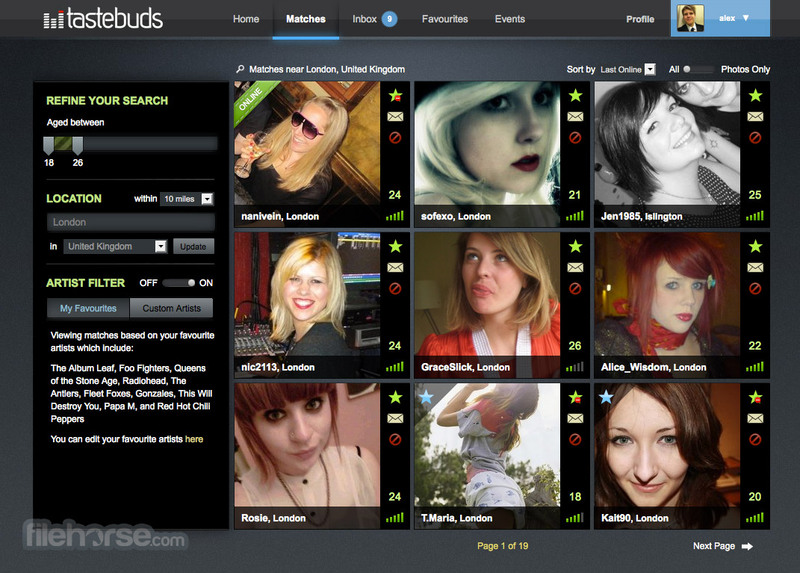 Tastebuds.fm is a very popular dating site, social networking destination that is focused on finding matches by comparing musical tastes of its community. This enables you to find someone who you will love, knowing that you have similar taste in music, band or even individual songs. 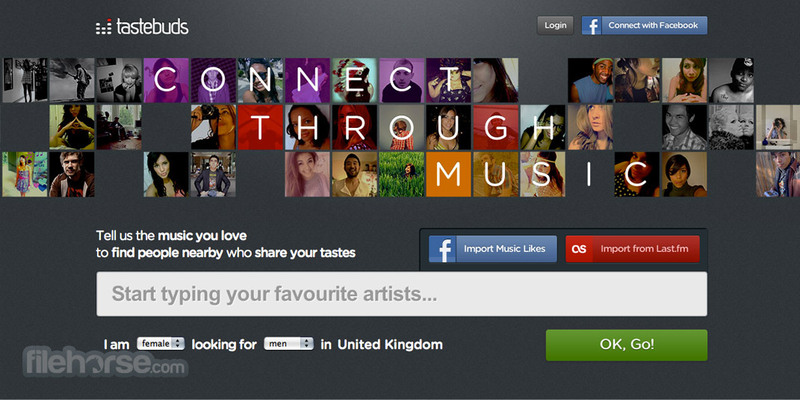 Using its great array of fully integrated tools, you can easily import your musical taste from other social networks (Facebook or Last.fm), immediately get matched with the people that Tastebuds think they are compatible with you (they share your preferences), and then communicate with them and even arrange meeting at concerts they are attending. On site communication is handled with extreme care, with privacy layers on your profile, and great tools for discovering not only new people, but also new bands and songs that are currently trending worldwide. Tastebuds’ focus on music for finding you people for communication is a great way to discover new people that can become your friends, and maybe even more than that. While other dating sites are trying to find you partners based on their look or other traits, Tastebuds recommends you people that you know are sharing your passions, and what they like is often more important than how they look. With just a short amount of time on Tastebuds, you will surely get matched with someone that shares your tastes and will be willing to talk to you about their own passions. One of the reasons how a young site like Tastebuds managed to attract more than 200 thousand people that has shared over 7.2 million messages between each other is because of its interface. Sleek, modern, fast and very versatile, Tastebuds enables anyone to instantly find people and engage in conversation with them. Discover New Music now! Its interface mostly reminds of Facebook, but with much more modern approach to design, with silver and dark colors perfectly matched to create aura of professional but still fun website. Tastebuds is still expanding and seeking larger audience, and because of that access to its all services is absolutely free. New account can be created by signing up with email or using your Facebook credentials (which will immediately import your music history and help you to find better match). 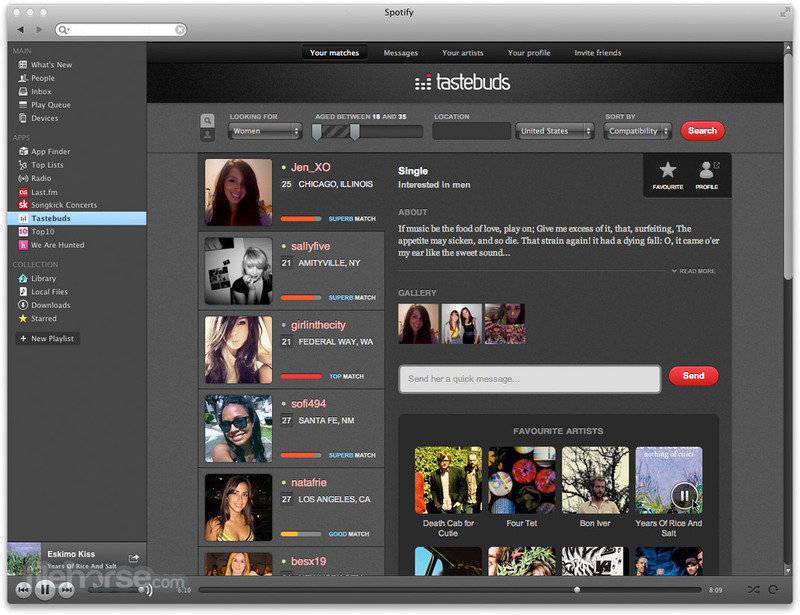 Tastebuds is perfect for those seeking friend or romantic partner that will share same musical tastes as you. With free access, beautiful design and great communication tools, you cannot ask for a better service. Now join in and find new friends!